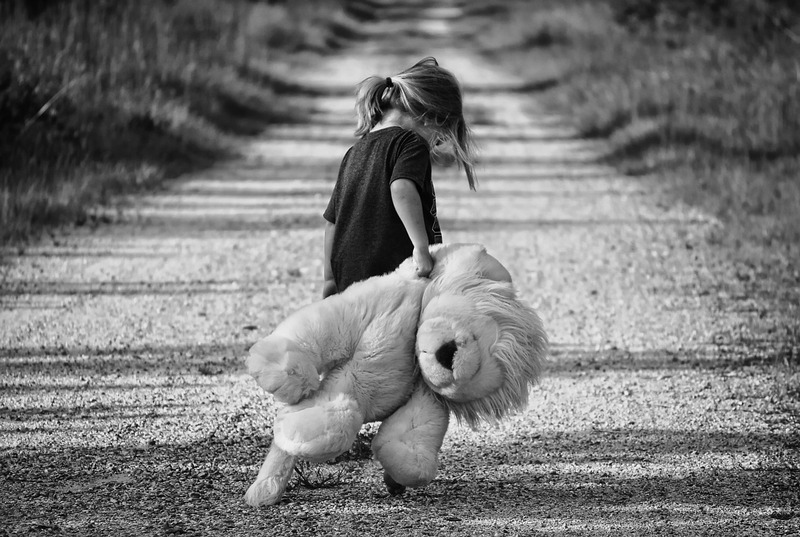 The first step for victims of abuse…any form of abuse…assuming that it has been acknowledged & dealt with appropriately by the relevant outside agencies is for the survivor to begin to come to terms with their situation by understanding that what happened to them is not now and never was their fault. Abusers are generally speaking both manipulative and clever in the way they program their victims to believe that they in some way are to blame and to be honest are uniformly successful in their quest such is their power over their victims. To suggest that survivors ”get over it” is a common misconception and whilst some do indeed appear to have done just that closer inspection will usually belie the true extent of the psychological damage as evidenced for instance by addictions, self harming, mental health issues etc. Surviving abuse is in itself a bit of a cleft stick…by definition anyone who comes through it alive is a survivor and should be proud of being so but in reality the survivors of abuse fall squarely into two camps those who learn to cope and those who don’t. Which camp any of us fall into is part of the lottery of life. For instance how can 2 survivors of the same type of abuse (if not by the same person) find one well-balanced and adjusted to their situation whilst the next person will have withdrawn from life and spiraled into an addictive lifestyle which will almost certainly waste what’s left of their lives. The key is just one word – FORGIVENESS! The art of forgiveness is a twofold process first we have to forgive ourselves. Forgive ourselves for not knowing what we didn’t know…the fact that we..you..any abuse victims are NEVER to blame…and then and here is the big one and to be honest the one thing that many struggle to come to terms with FORGIVENESS of the perpetrator!! Now I KNOW how difficult even impossible that concept is for many people but the fact of the matter is until such a time as we are ready, willing and/or able to do this then we will and do remain firmly shackled by the chains of the past. The past and the abuser once brought to accountability have no further power over us other than that we choose to give it. Whilst ever we are at a point that we can’t move forward because of what’s happened to us then the abuser remains both in our minds and hearts and most definitely in control. The act of forgiveness should NEVER be about the other person but always about ourselves. Why because in all honesty they rarely if ever acknowledge that they have done anything wrong and as such don’t accept their responsibility for their part in your trauma. 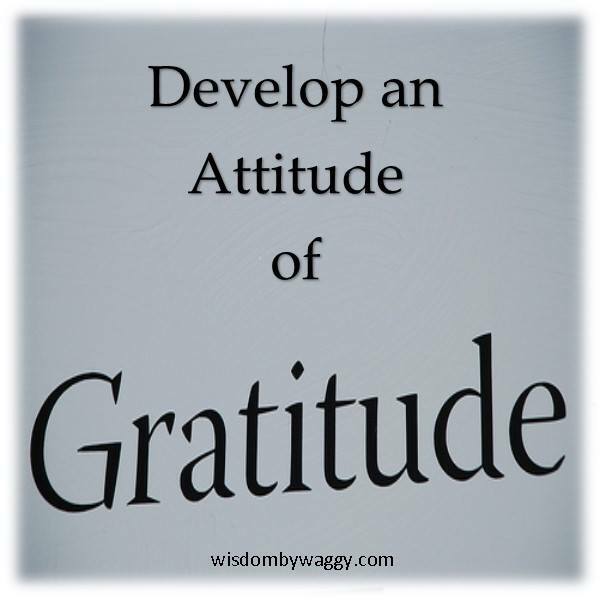 How should we go about taking this enormous and extremely challenging step? Meet them in person and speak to them face to face? Possibly dependent upon circumstances if you are able to be calm & look the person in the eye…only you will know if you are at that point even if it is possible..but I would ALWAYS suggest doing so within controlled circumstances with the presence of an unbiased 3rd party for your support. Almost certainly…writing gives us the freedom to say anything and everything we ever wanted to say but were afraid to for fear of backlash and retribution but the beauty of it is that once we’ve given voice to the words by putting them down on paper we have acknowledged both them and what they represent. By doing so we have taken the first all important step to recovery or ”getting over it”. Once you’ve written everything down, read it out loud to yourself but as though you’re speaking to the other person and then in one of the most empowering moments you will ever experience (making sure it’s safe to do so) set light to it and watch it burn. As it burns acknowledge that this is the end of that period of your life begin to look to new beginnings. When we’ve done this it naturally underpins and reinforces the major way in which forgiveness not only occurs but is most powerful. Tell yourself and often that in forgiving the other it’s not for them, it never is. 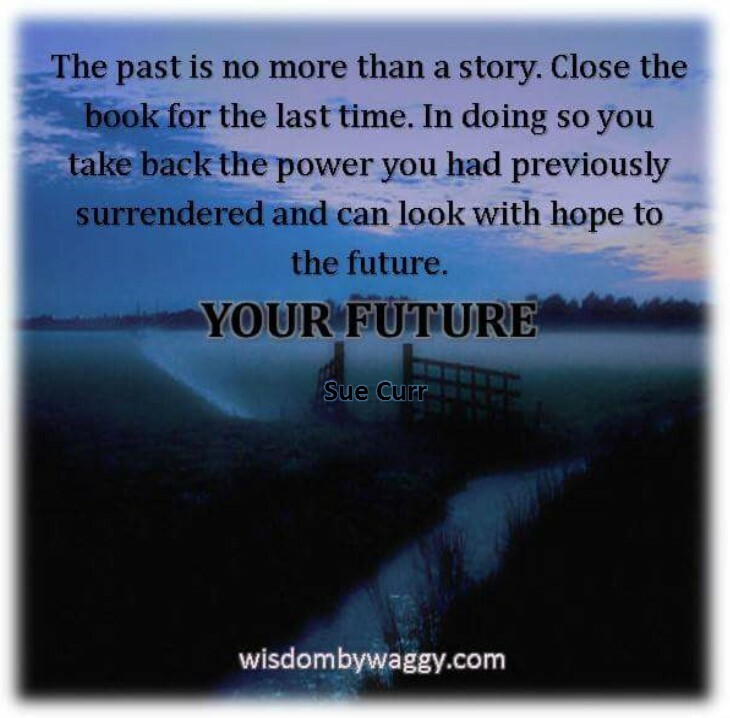 Remember that in forgiving them you are taking positive action to set yourself free from the past and move forward into the future…your future, one in which they have no place. Not in any sense physical, emotional or psychological. In doing so you are taking away their power and reclaiming your right to live your life, in your own way and on your own terms. 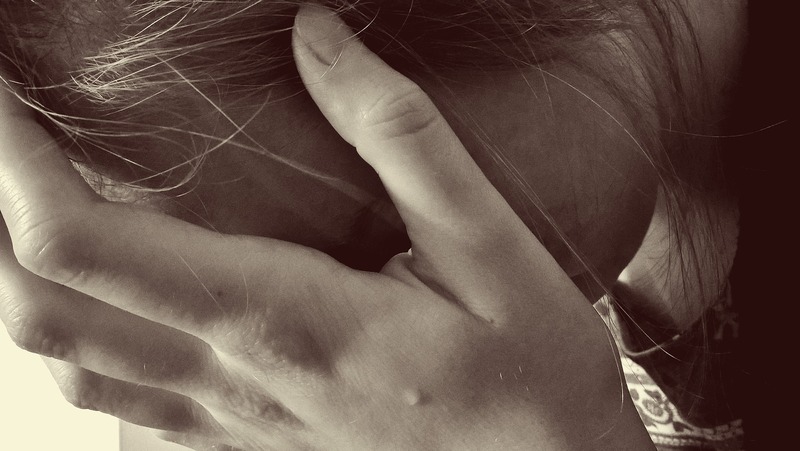 Do you ever ”get over” being abused? 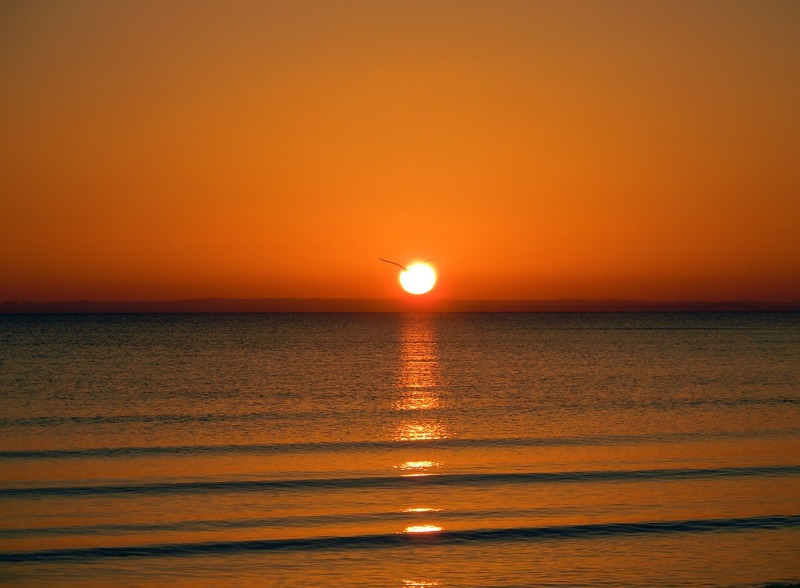 Realistically speaking you will probably never,ever forget what happened to you but perhaps for the first time you can celebrate the fact that you survived (remember many don’t) and begin treating every new day as the opportunity it is…one where today you will finally choose to be happy!! Will it be easy? NO! Will it be worth it? Absolutely. Always YES! 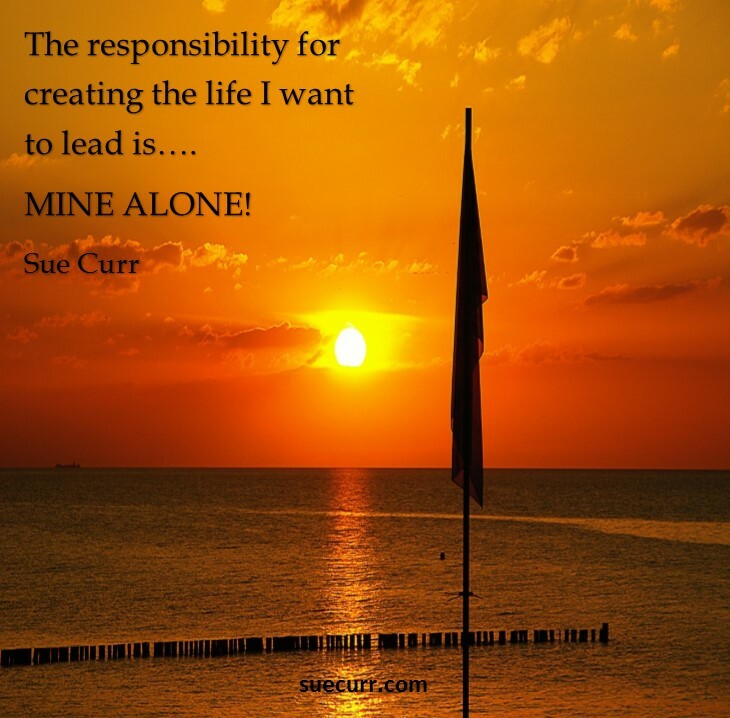 This entry was posted in Blog Posts, Mental Health, Self-Esteem and tagged coaching, empowering women, empowerment, fearless, Forgiveness, mental health, mental health awareness, mental health stigma, motivation, personal development, personal transformation, self-help, Sue Curr Motivational Speaker & Author on February 12, 2016 by Sue Curr | Fear Less - Live More. Life is too short to waste the currency of time doing anything which serves only to make you miserable and yet far too many of us do just that. Day in. Day Out. What is it that holds such sway over us that we are paralyzed by the inability to change the way we live & work? Why do we steadfastly remain in negative or toxic situations that undermine our confidence, our self-esteem and our aspirations? The answer is simple & can be summed up in one word – FEAR! The fear of what though, making mistakes, failure or change? In reality it could be a combination of all three so lets put things into perspective shall we? When we make mistakes and we all do from time to time, it’s important to take time to pause and reflect on what you could have done better? Note I purposely didn’t say what went wrong! The key thing to remember about mistakes is – there aren’t any! There are only opportunities to learn what doesn’t work, which in and of themselves will by definition take you closer to where you wish to be. If something doesn’t work out, view it from a different angle and start again. There is always more than one way to achieve a goal or dream and when you adopt this viewpoint as a consistent habit then you will begin to see the results you desire. The fear of failure often appears in synergy with the fear of making mistakes and yet the word itself – Failure – is so much more powerful than that of mistake. Why? Stigma. 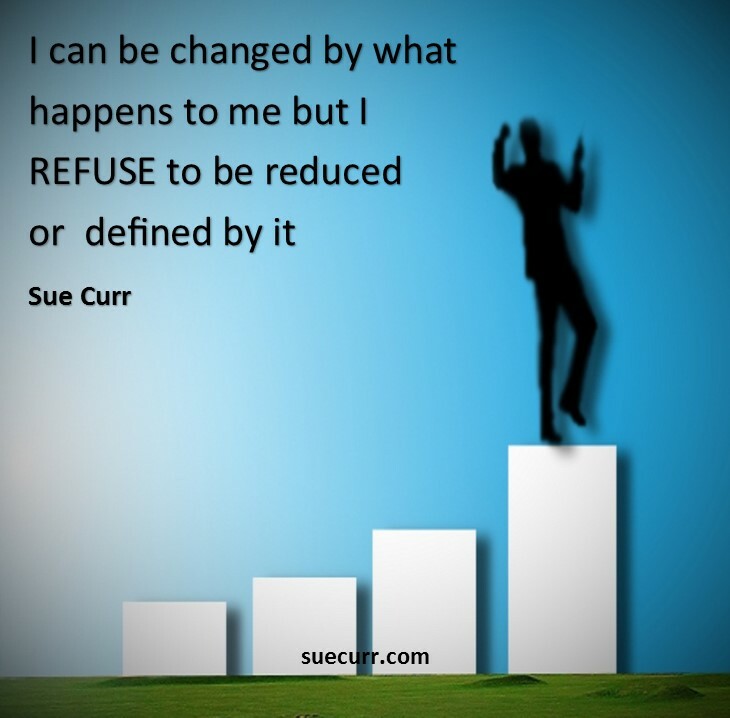 The fear of being defined by others as being a failure is largely what prevents us from even trying to achieve something in the first place, simply because we care what our loved ones, peers and colleagues think of us. What we lose sight of is that if it takes us longer and down more avenues than we expected to get there it doesn’t mean that we are failing in anyway. If anything it proves the opposite in that we are persistent and determined enough to get to achieve what we set out to do which is a very successful trait to have. It will take you to the golden egg which you are seeking as long as you believe in yourself. As for what everyone else thinks? Anything can have the power to prevent us from achieving our goals and dreams, the opinions of others being just one of them. By acknowledging that they have the right to their opinion but at the same time realising what anyone thinks of you is none of your business you reclaim the power for yourself and the perceived fear of failure in the eyes of another fades away as sure as melting snow. 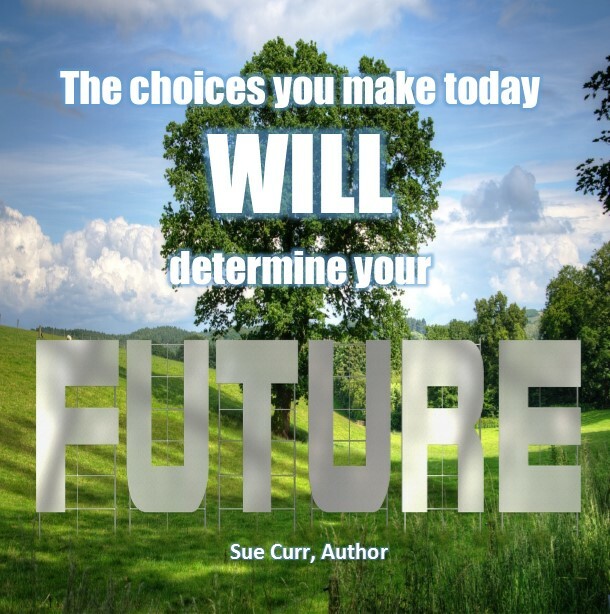 We all of us have the inherent power of choice and we can choose to make the choice to change anything we want at anytime. We simply have to overcome the paralysis by utilizing the most powerful tool we own – our mind – and become aware of what it is telling us. Or to be more precise what we tell it! We tell ourselves all the time; it’s too late to do that, I’m too old, I couldn’t possibly and so on. Yet we forget the all important word in all this – choice – and the first choice to make in the face of our fears is that of choosing to take the chance to change. We can start the process by changing the way we think and subsequently talk to ourselves. 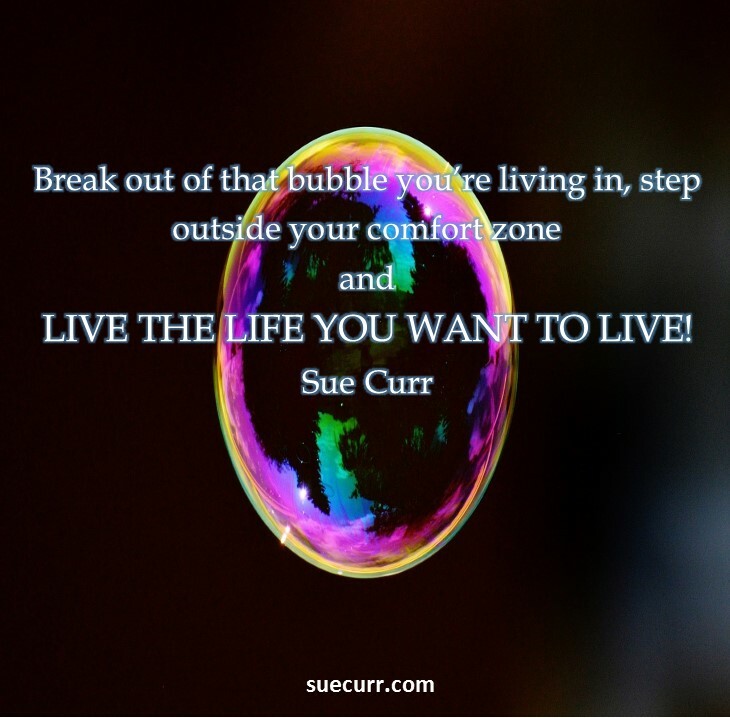 The fear of change is real and largely what we use to give ourselves the permission we need to remain inside the bubble we’ve created for ourselves, wrapped in the safety net of our comfort zone. To be brutally honest far too many of us end up staying there by default because we are subconsciously willing to allow life to just happen to us instead of going out and grabbing it by the scruff of the neck! Until we realise that we are the only ones responsible for manifesting the change we wish to see in our lives then we will remain stuck in the limbo of misery we have succumbed so freely to this far. 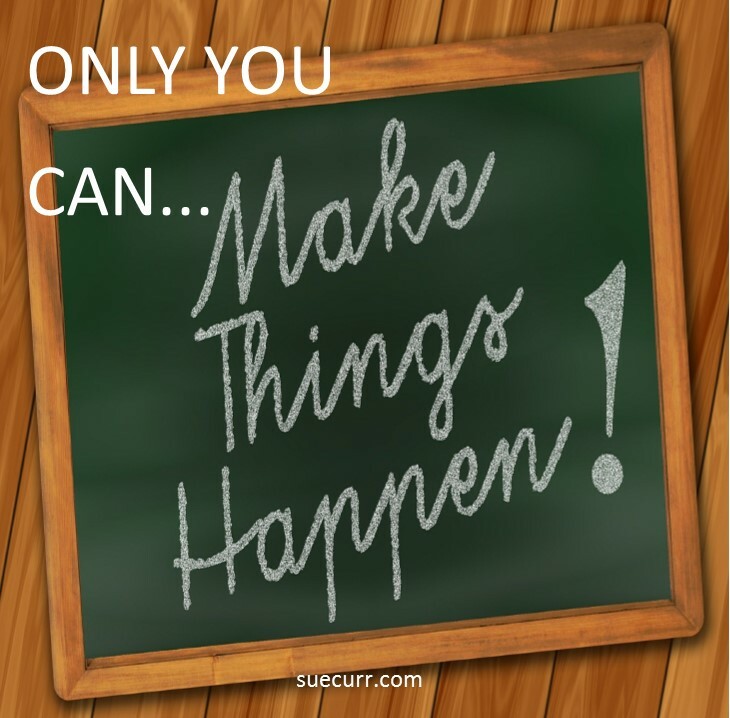 Remember that there isn’t anything you can’t do, say or become if you choose to make it happen, Not your age. Not your gender. Not your education. Nothing. Because there is always a way and it’s up to you to find it. 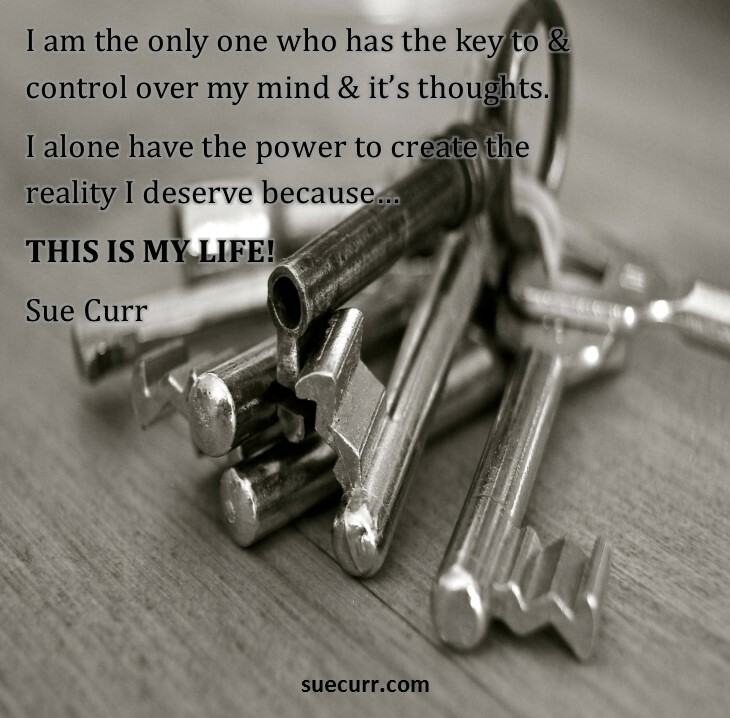 You are the one who has the key to and control over your mind. You alone have the power to create the life you desire and you should exercise that right with every waking second because this is your life. There are no refunds, no overdrafts and very definitely no second chances because this life of ours is very definitely not a rehearsal. FEAR less & LIVE more!!! 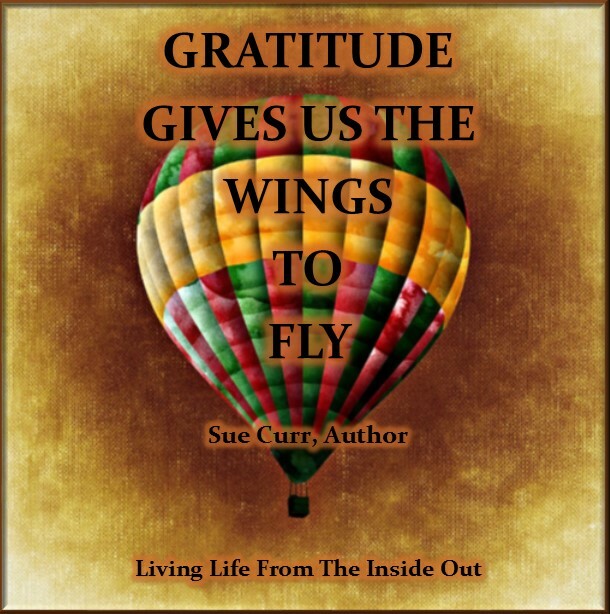 This entry was posted in Blog Posts, Gratitude, Mental Health, Self-Esteem and tagged empowering women, empowerment, mental health awareness, mental health stigma, mentally whole, motivational speaker, motivational speaking, personal development, personal transformation, self belief, self care, self confidence, Sue Curr Speaker Author on January 8, 2016 by Sue Curr | Fear Less - Live More.